Once upon a time, Blackberry ruled supreme. Then came the iPhone and everything changed. Then came Android, and it all changed again. Blackberry were always fighting for 3rd place, but it seems the battle is now over with Windows Phone firming claiming the third spot. Kantar World Panel’s latest report shows that Windows Phone is now the worlds Number 3 mobile platform, after its marketshare reaced 8.2% across Europe’s five biggest markets in July 2013. Blackberry meanwhile saw its share in those markets drop to just 2.4% in July, a drop from the 6.7% it had in July 2012. Of interest more notably is what is happening in Mexico, where Blackberry has always been fairly popular given the developing market. However, it has seen a massive crash over the past year having seen its share of around 35% in July 2012 drop to just 10% in July 2013. Android’s share on the other hand has sky rocketed, jumping from 28.3% in July 2012 to 60% in July 2013, whilst Windows Phone sees a modest increase from 2% in July 2012 to 12.5% in July 2013. 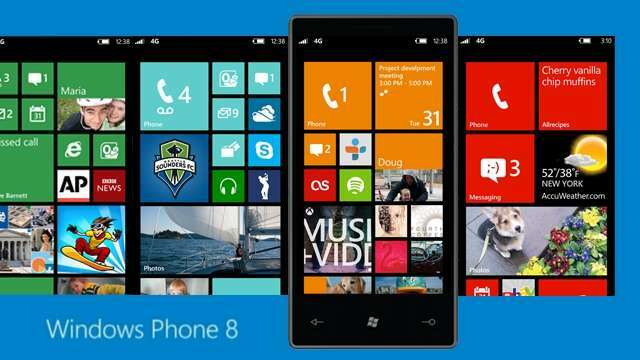 What is Windows Phone’s strategy? The report continues to state that Windows Phone hasn’t secured 3rd place by stealing customers from the other platforms, but instead has been very good at getting new customers and first-time smartphone buyers to give Windows Phone a shot, relying solely on the fact that they like what they see. So it is confirmed that BlackBerry has finally dropped off the radar for the smartphone race, with Windows Phone clearly winning that race. Let us know your thoughts in the comments section below.